Something inside me changes every time I travel. A new experience makes me appreciate life’s beauty and I feel so lucky given the chance to experience a new culture. The curiosity in me is satisfied when I learn about the history of the place and how the people coped up with the challenges thrown their way. We may come from different countries, different religions, different beliefs and cultures but we are all the same in a way – trying to find that one thing that makes our world a better place. Chinese new year is also known as the Spring Festival and is the oldest and most important festival in China. Dragon dances are common for such a festival. The face of the dragon together with the sound of the drums and cymbals are used to ward off bad luck and evil spirits. Let us join our Chinese brothers and sisters all over the world in welcoming the year of the snake. Gong Xi Fa Cai! 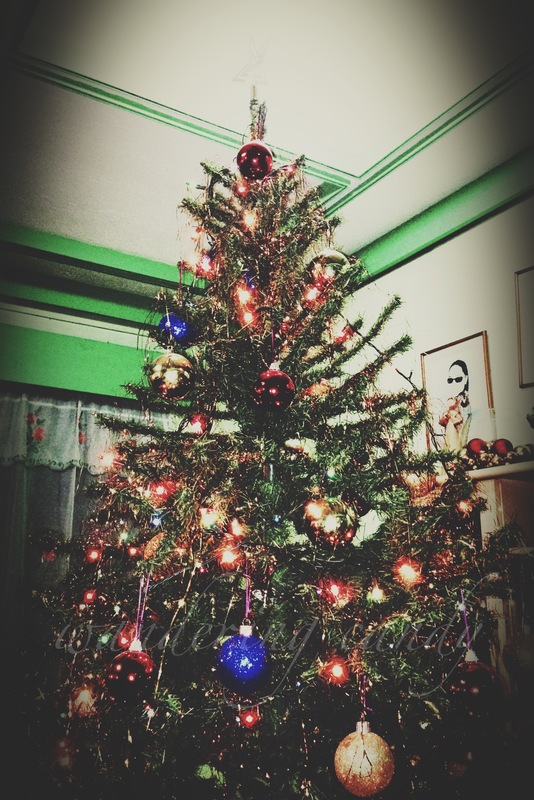 Photo of the Day: Happy Holidays! I have been lazing off this holiday season. Blame it on everything that involves the holidays – shopping, gift wrapping, online games, parties, food and booze. I am still in the middle of my holiday and enjoying it immensely. I hope everybody is enjoying their holiday as well. Happy Holidays everybody! The Dutch Square can be found in Melaka and is named as such due to the influence of the Dutch when they colonized the place in the 1700s. 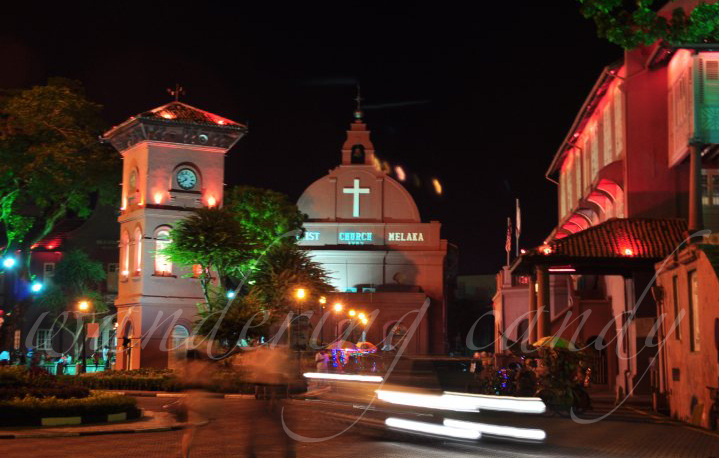 Christ Church, as seen on this photo, is the oldest functioning Protestant church in Malaysia and it is located at the center of the square. The church and the surrounding buildings has the distinctive color scheme of the Dutch era and is matched with the brick stones covering the square. 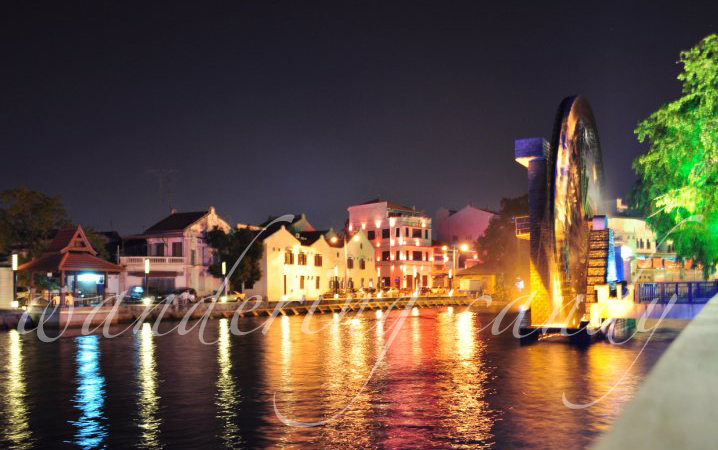 Melaka River was an important trade route in the 15th century. As explorers and colonizers come, the influence can be seen on the architecture of the buildings found along the banks of the river. I wanted to join the river cruise but my feet were tired from walking around. So, I settled for this shot along the river. I didn’t bring my tripod so I improvised. I propped my camera on the broad railing with the lens hood supporting the weight of the lens and set it on timer. Voila! This is the finish product. Hi! My name is Candy. Join me as I pursue my dream of traveling the world through photos.